Escape from Riverdale, Part 4 [of 5]: With two more members of our beloved gang infected by the dreadful zombie-virus, Riverdale’s one sanctuary—Lodge Mansion—has been compromised. The kids are left to make a significant decision—do they stay and fight or flee the only town they’ve ever known? 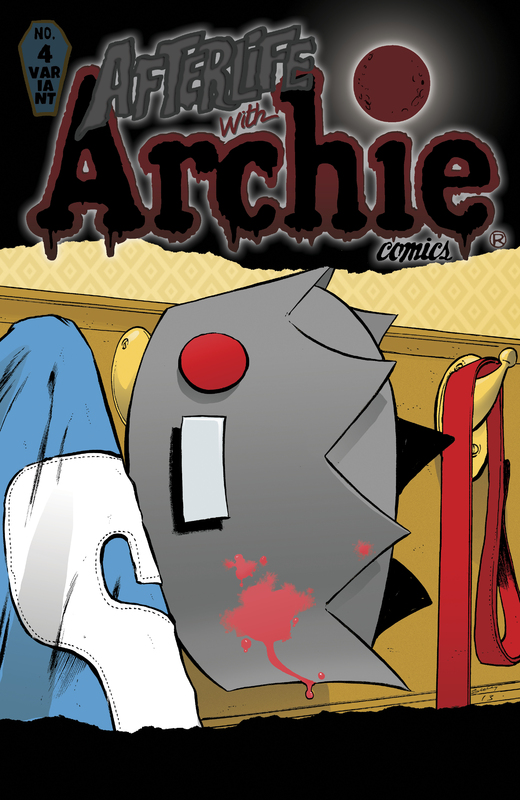 Meanwhile, Archie makes a horrific discovery in his own home, one that may cost him his life! 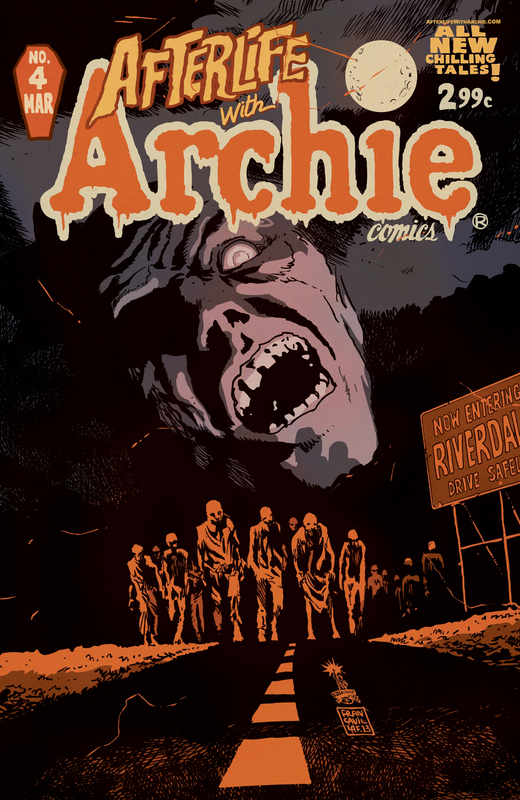 issue #4 may not be out for a while, but AFTERLIFE WITH ARCHIE #1 hits comic shops in one month! Make sure you head to your local comic shop on OCTOBER 9th to grab a copy.